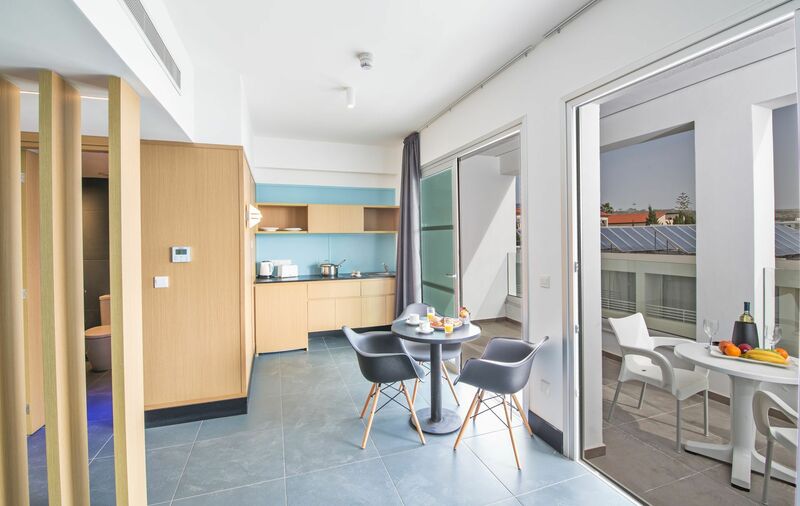 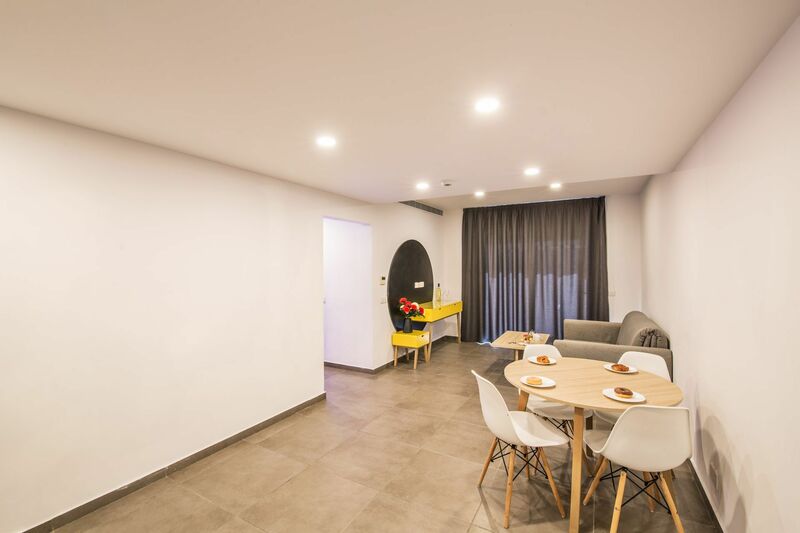 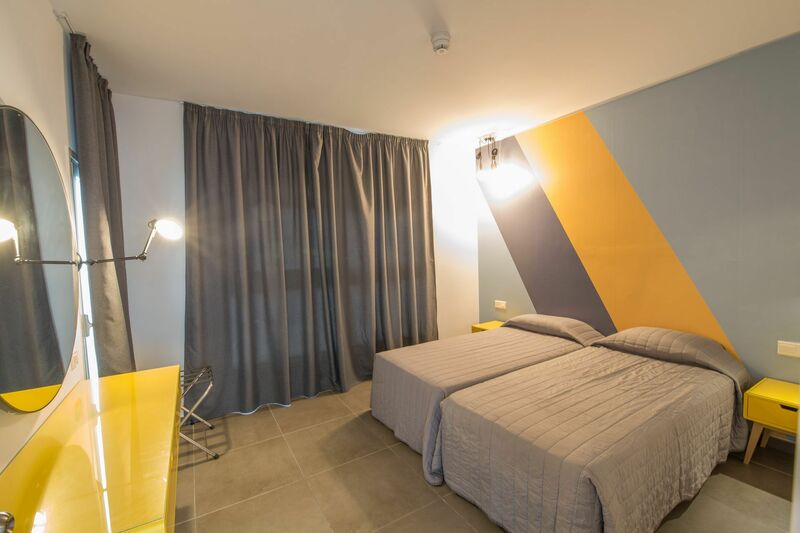 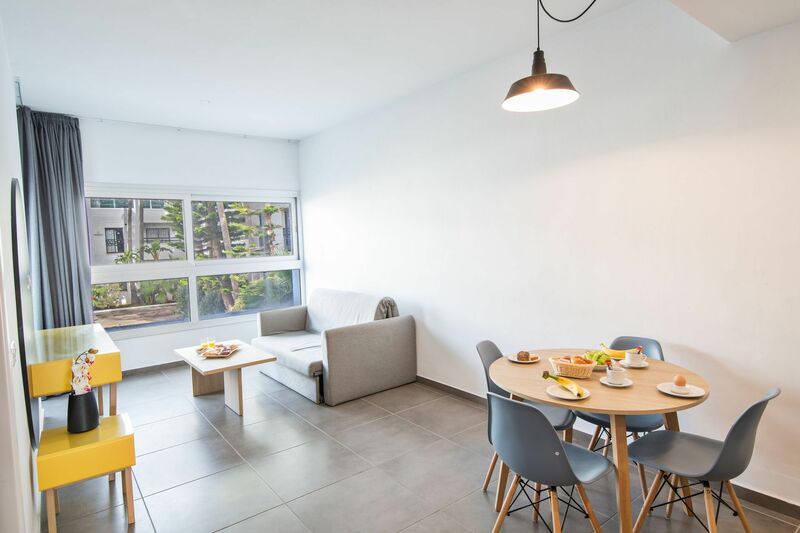 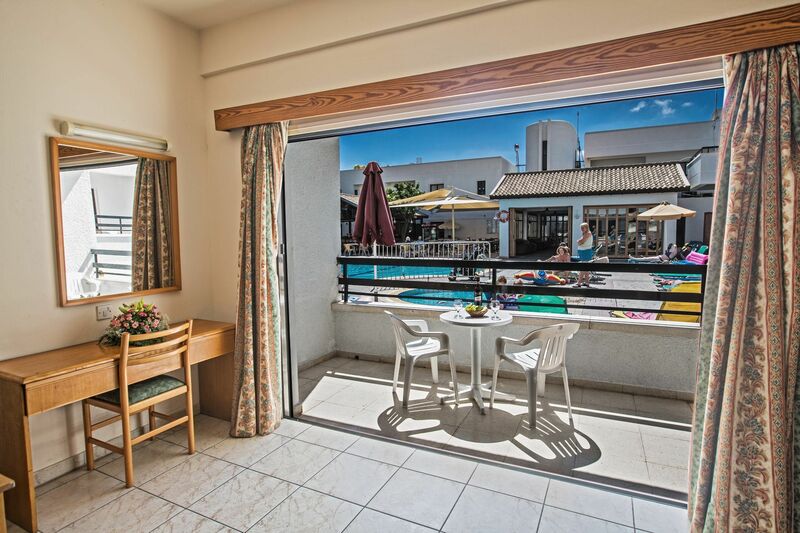 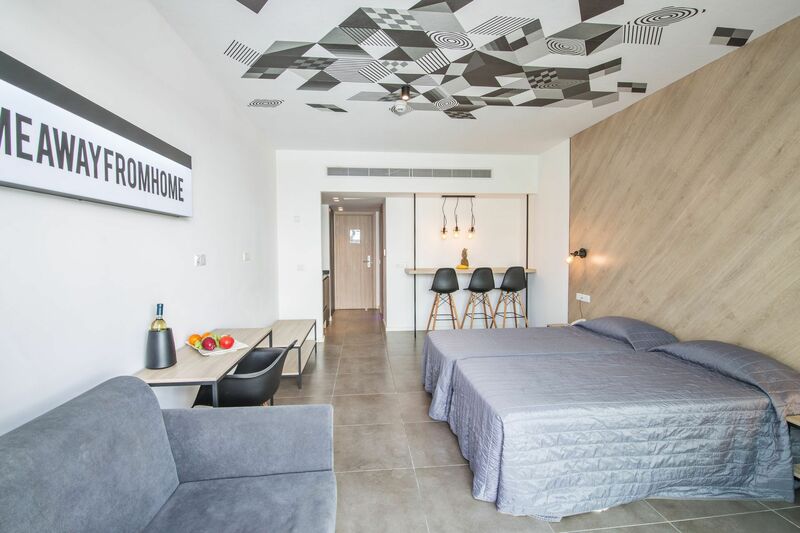 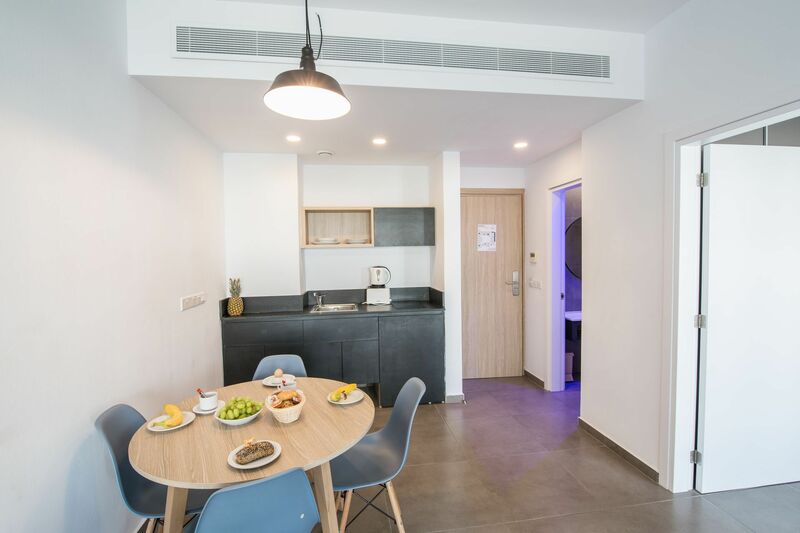 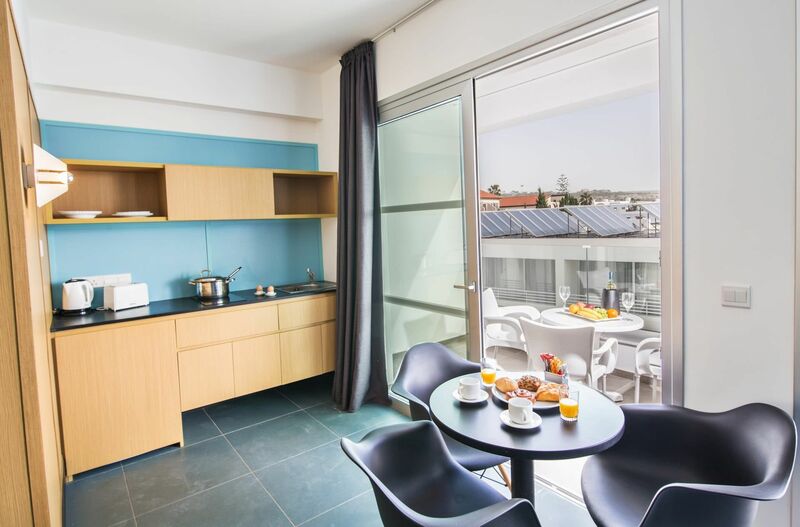 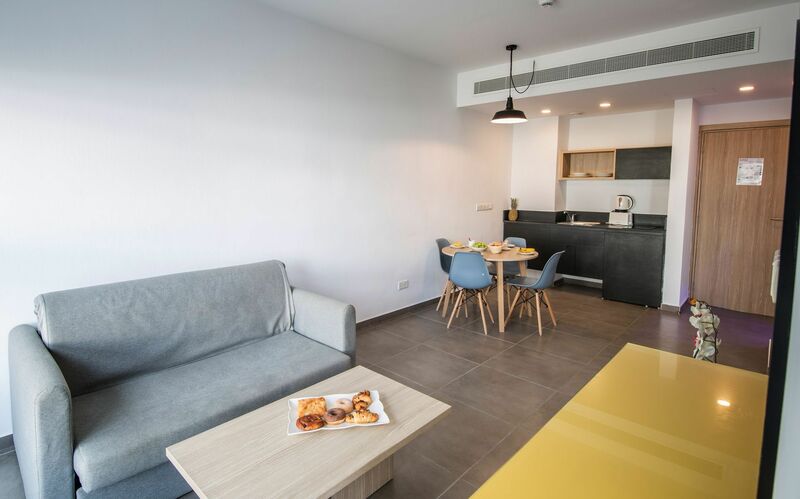 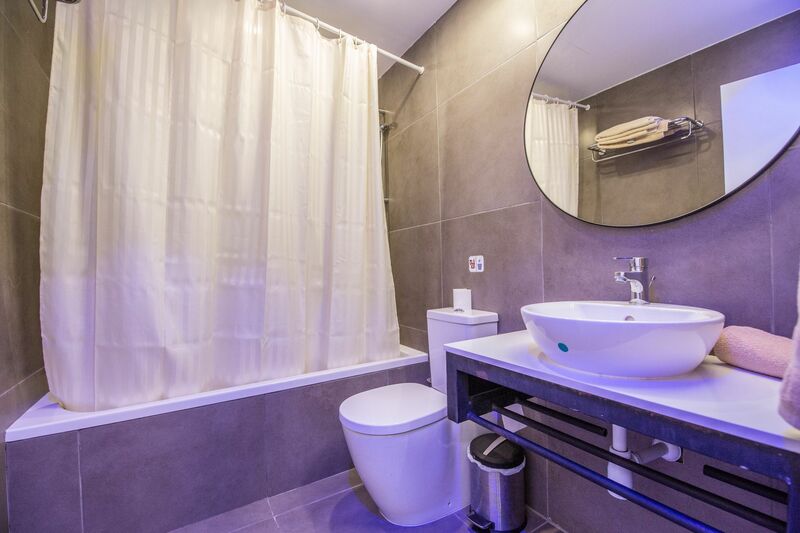 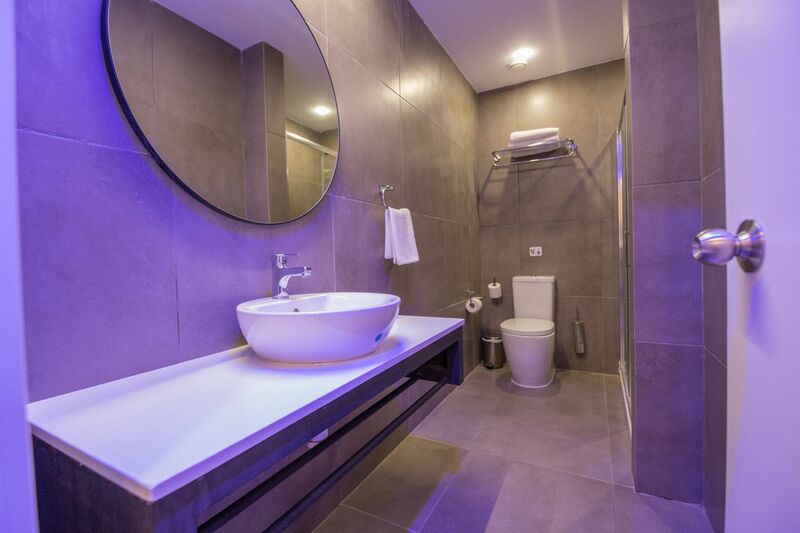 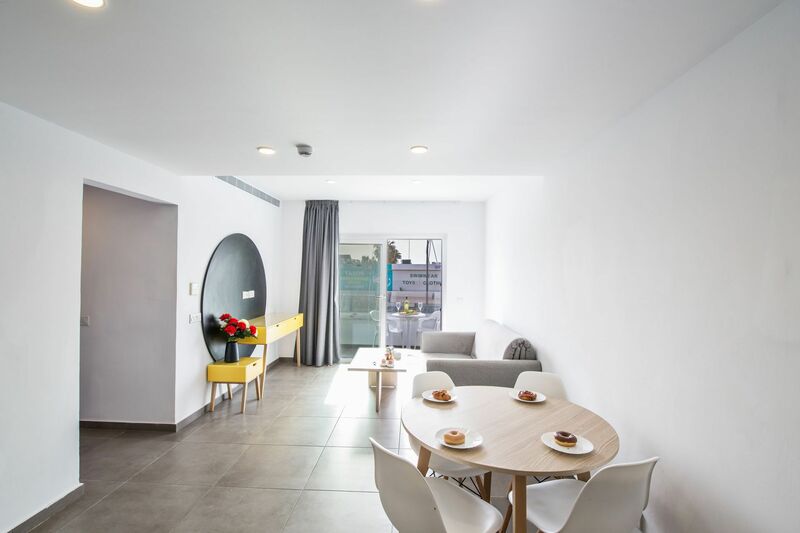 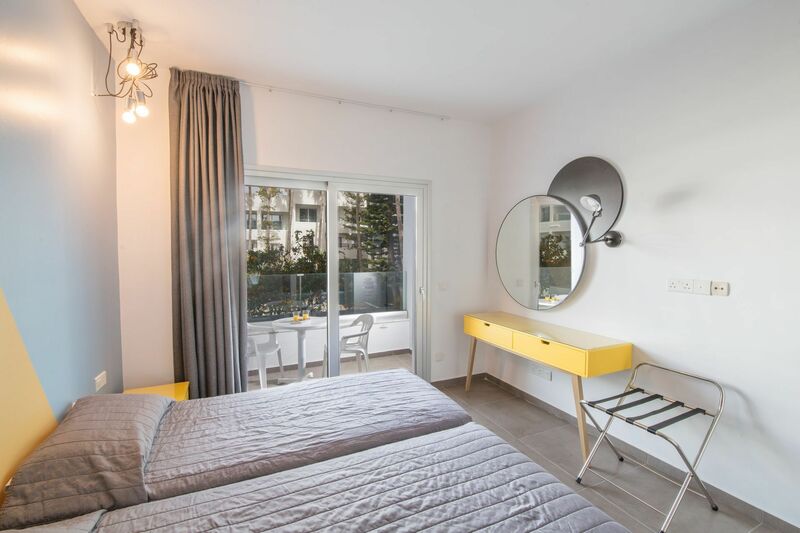 Anthea Hotel Apartments is a First Class, self-catering hotel ideally located in the center of Ayia Napa resort, very close to every major attraction, activity and sightseeing of the town. 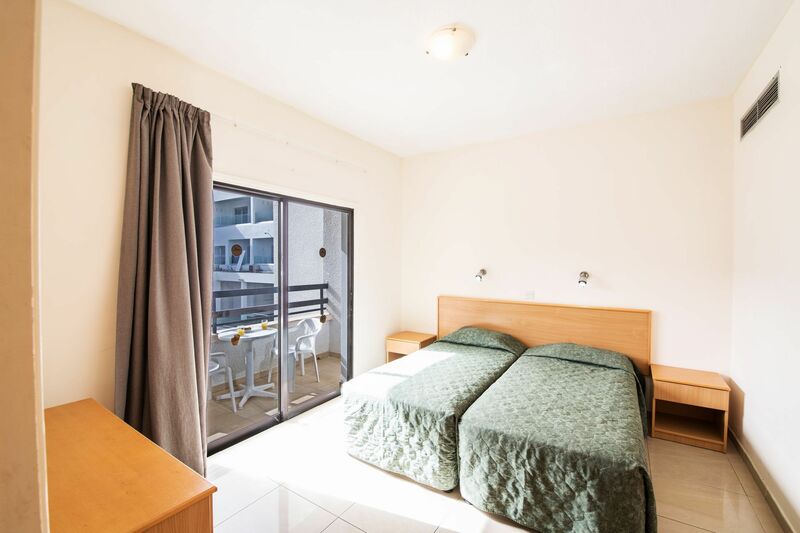 It consists of 286 rooms in three blocks. 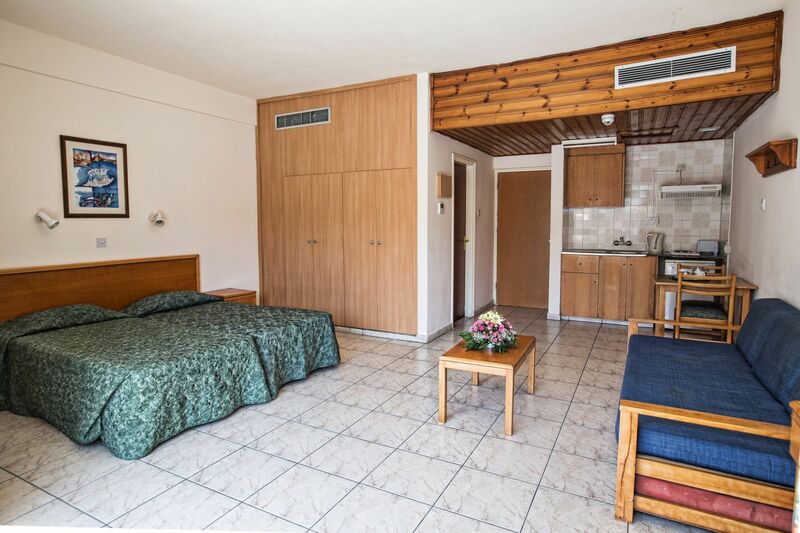 The superior and luxury rooms have been recently renovated in order to meet visitors’ highest standards. 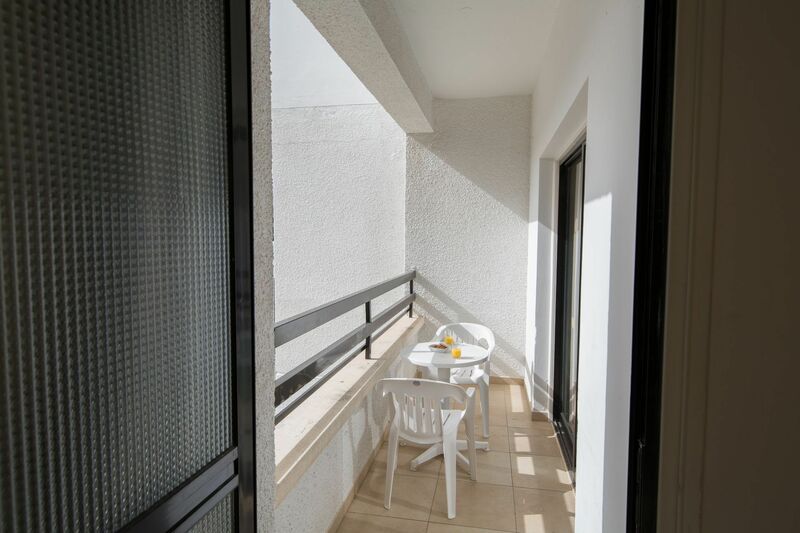 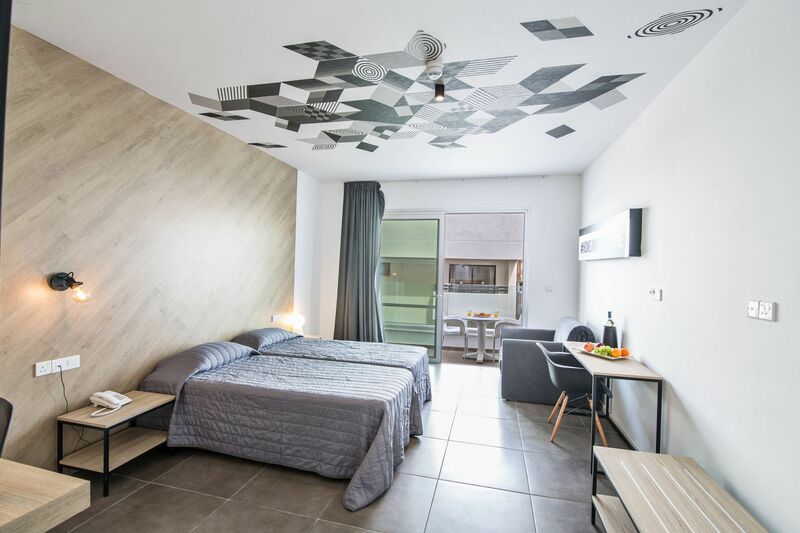 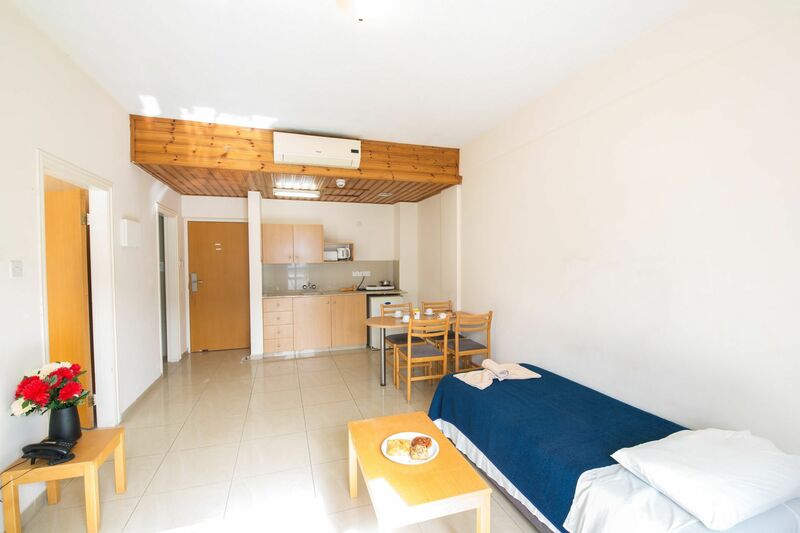 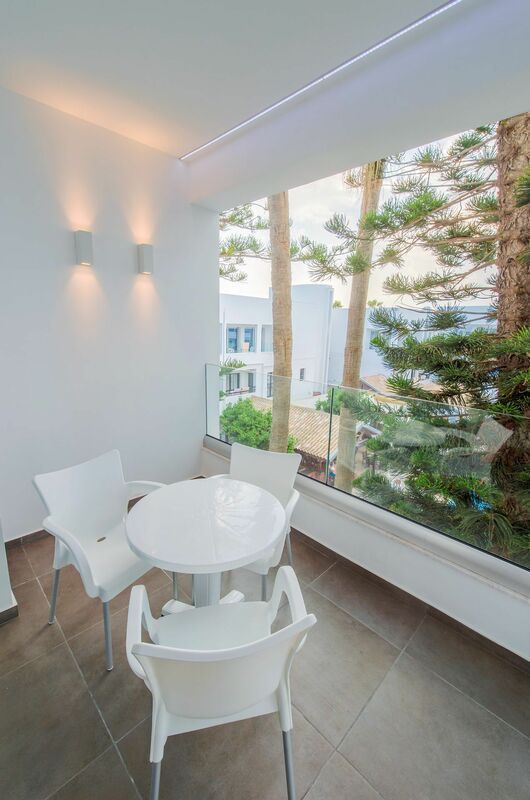 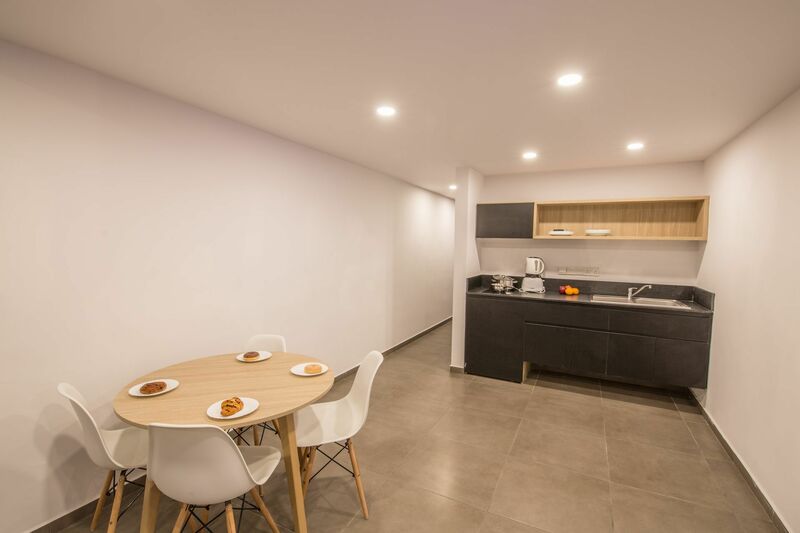 All our apartments are spacious, bigger than the average rooms offered in Ayia Napa. 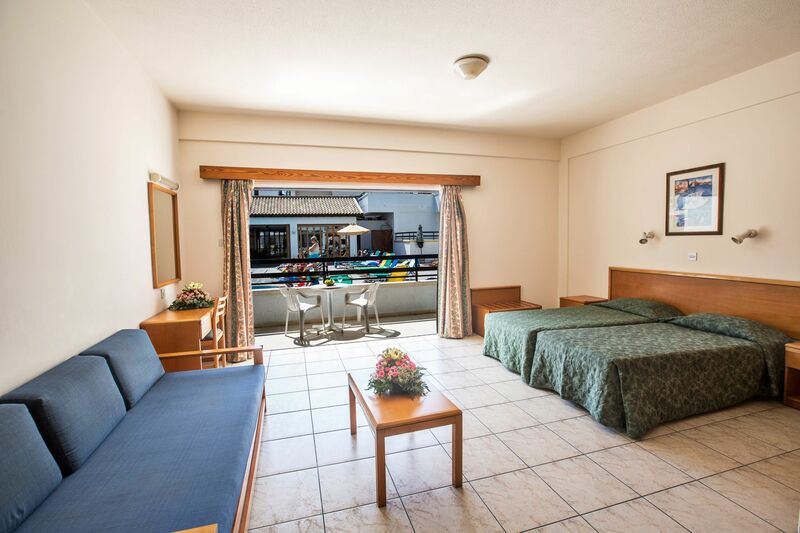 Each one has its own balcony or veranda and is equipped with kitchen and kitchenette for your convenience. 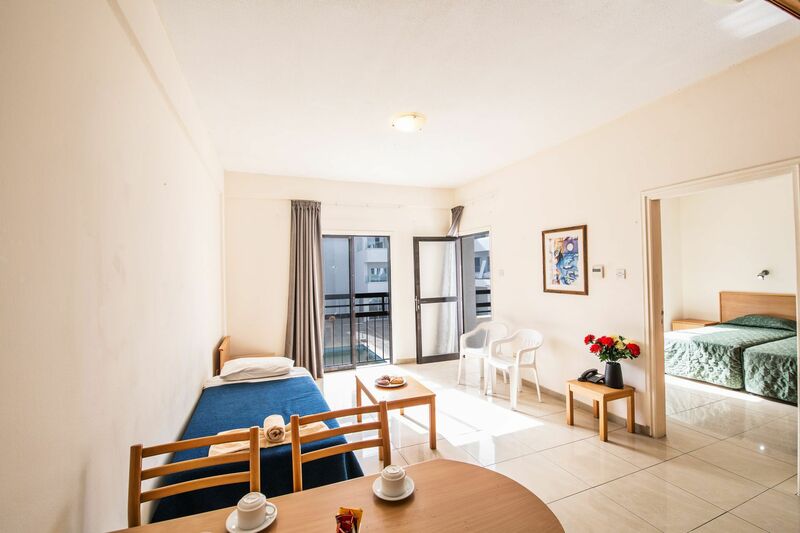 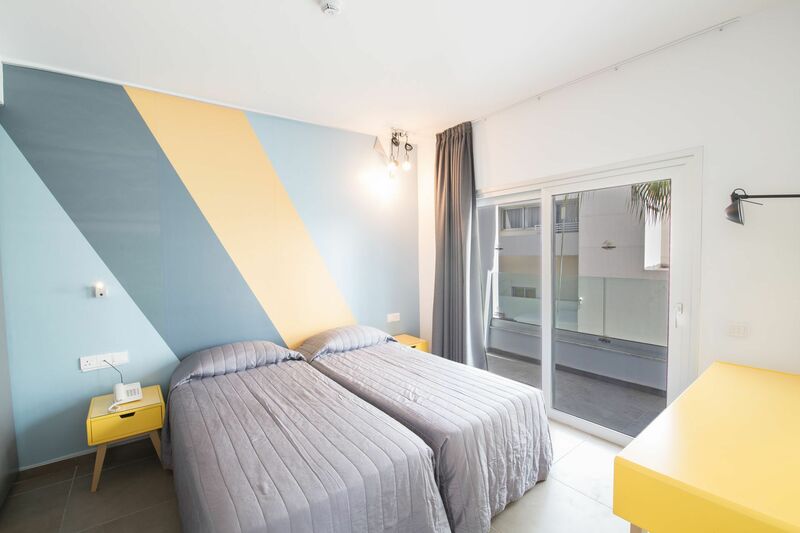 A spacious and well equipped room which combines a modern bedroom and state of the art kitchenette, fully air-conditioned, bath or shower with WC, safe box, refrigerator with freezer, telephone and Wifi (with charge). 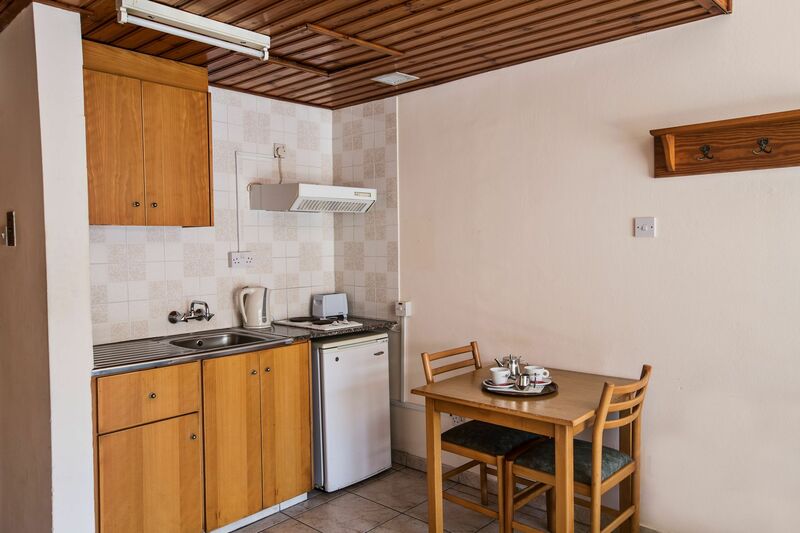 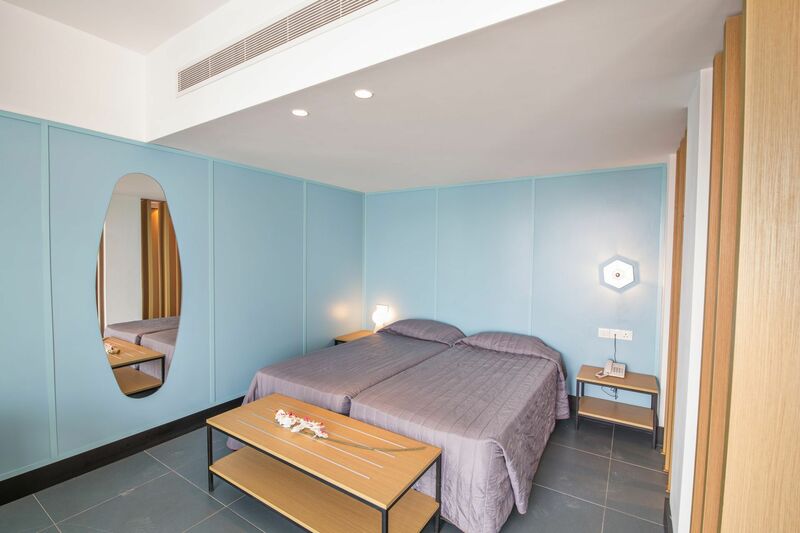 All rooms have a separately well equipped bedroom, modern living room and state of the art kitchenette. 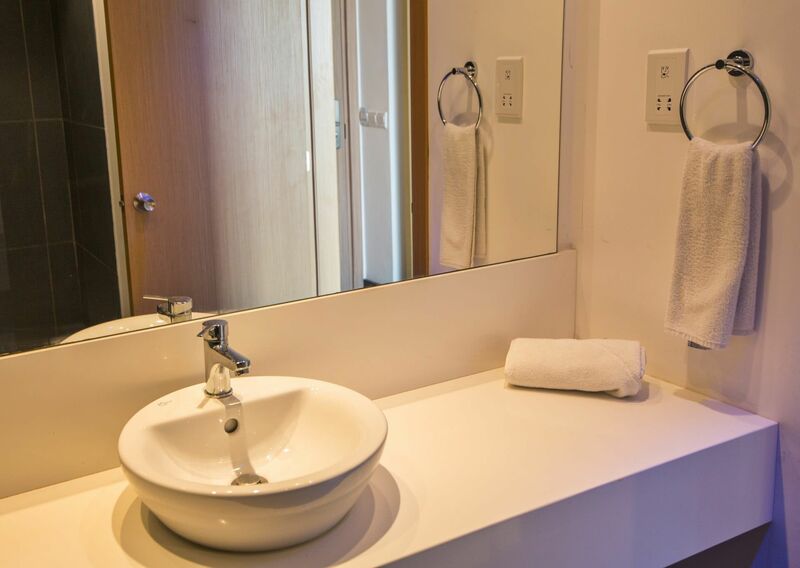 Fully air-conditioned, bath or shower with WC, safe box, refrigerator with freezer, telephone and Wifi (with charge). 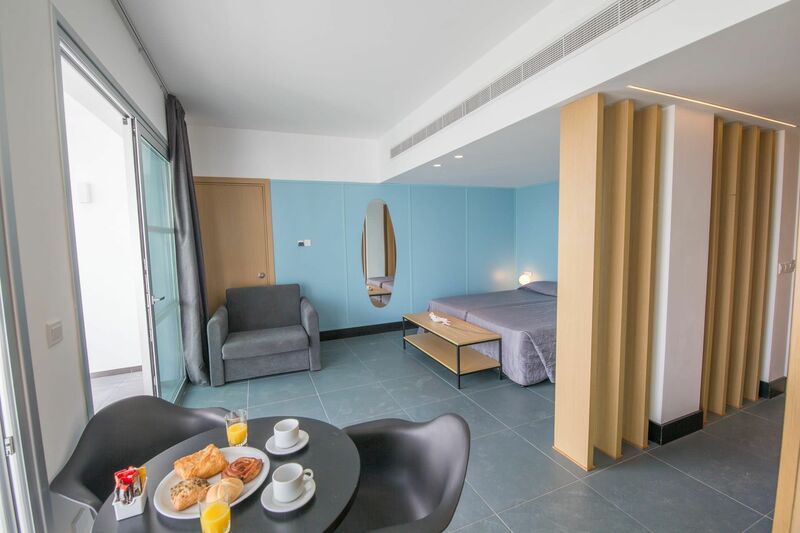 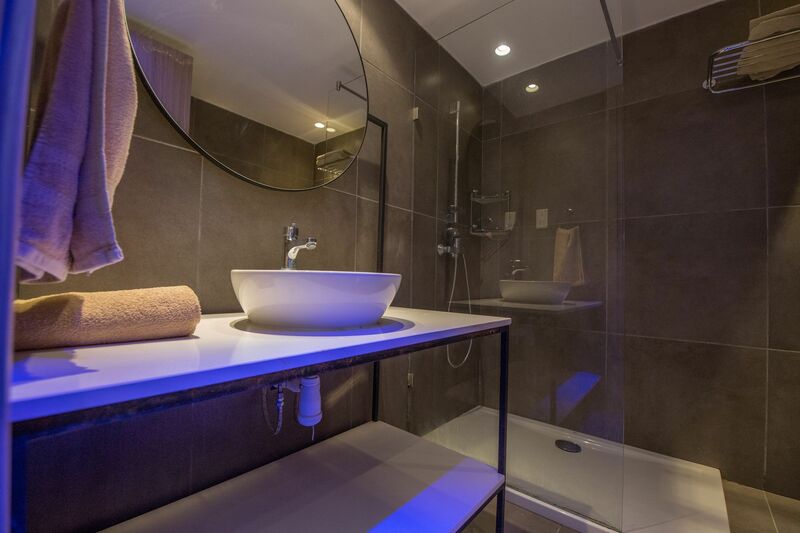 All rooms have two separate well equipped bedrooms, a modern living room and state of the art kitchenette. 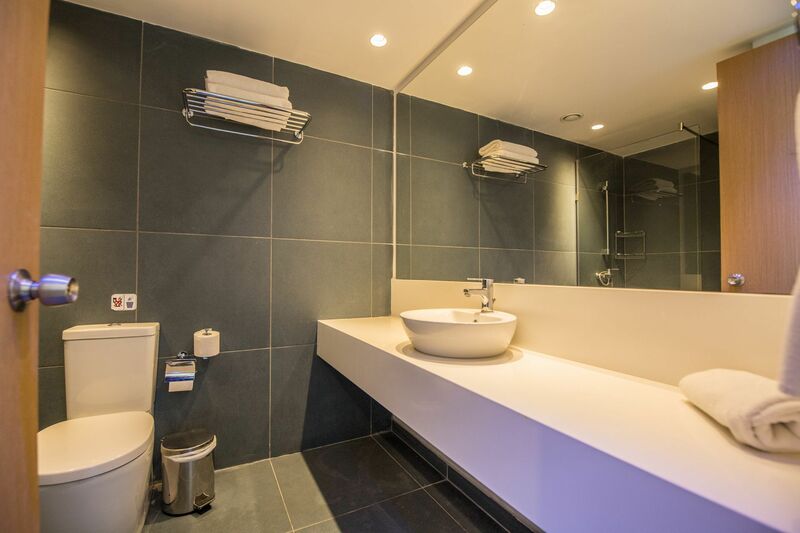 Fully air-conditioned, bath or shower with WC, safe box, refrigerator with freezer, telephone and Wifi (with charge). 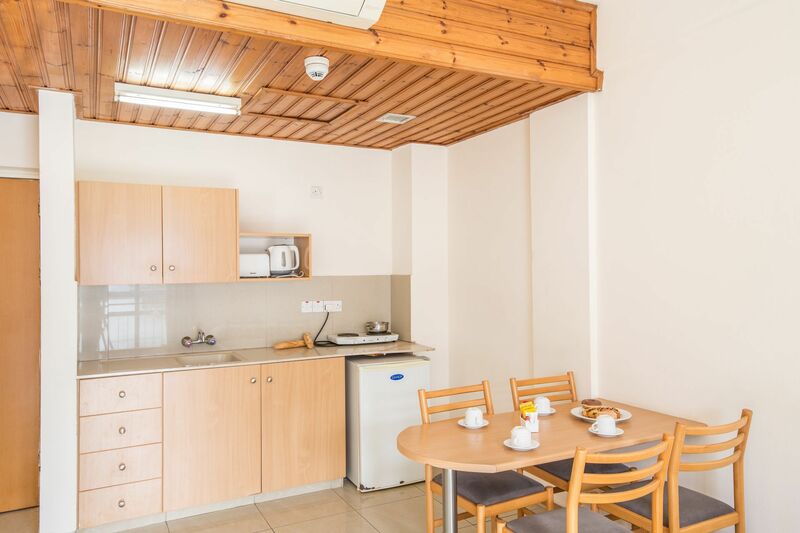 A spacious, well equipped room with kitchenette. 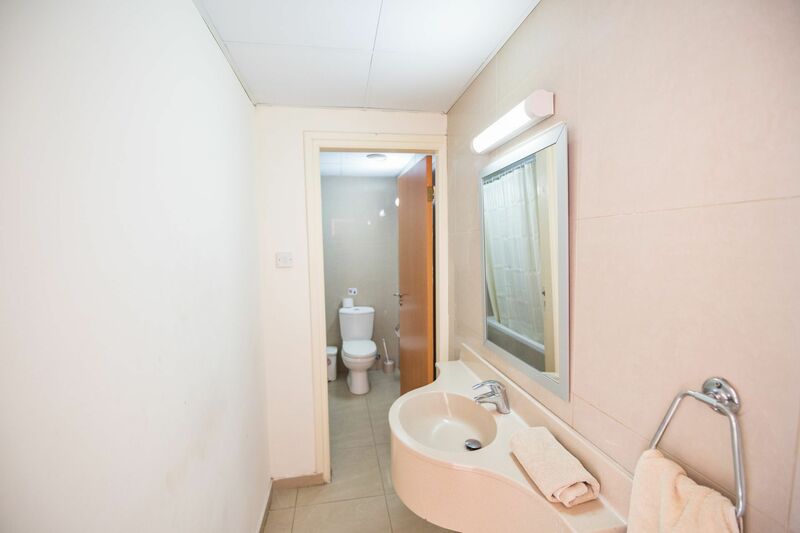 Fully air-conditioned, bath or shower with WC, safe box, refrigerator with freezer, telephone and WiFi (with charge). 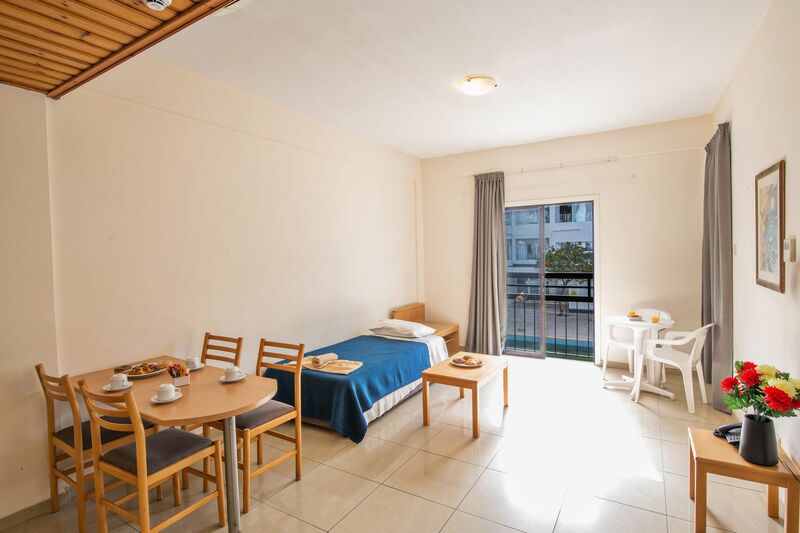 A spacious and well equipped room with kitchenette. 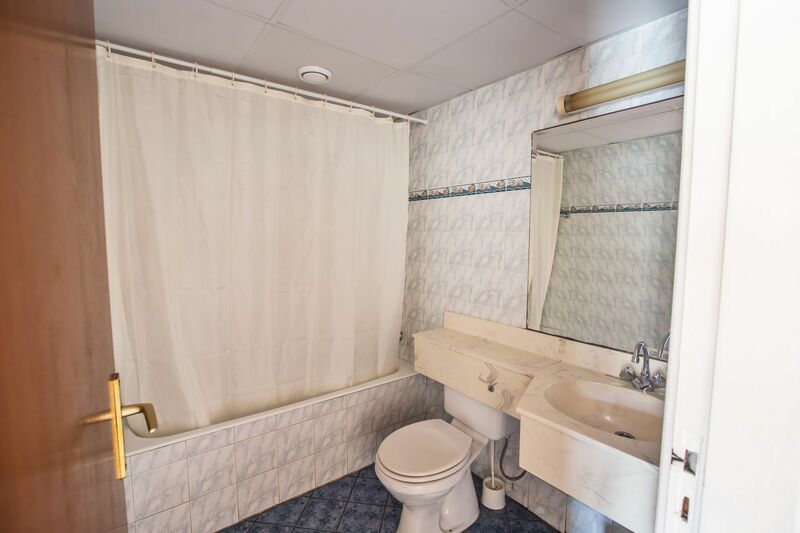 Fully air-conditioned, bath or shower with AC, safe box, refrigerator with freezer, telephone and WiFi (with charge).